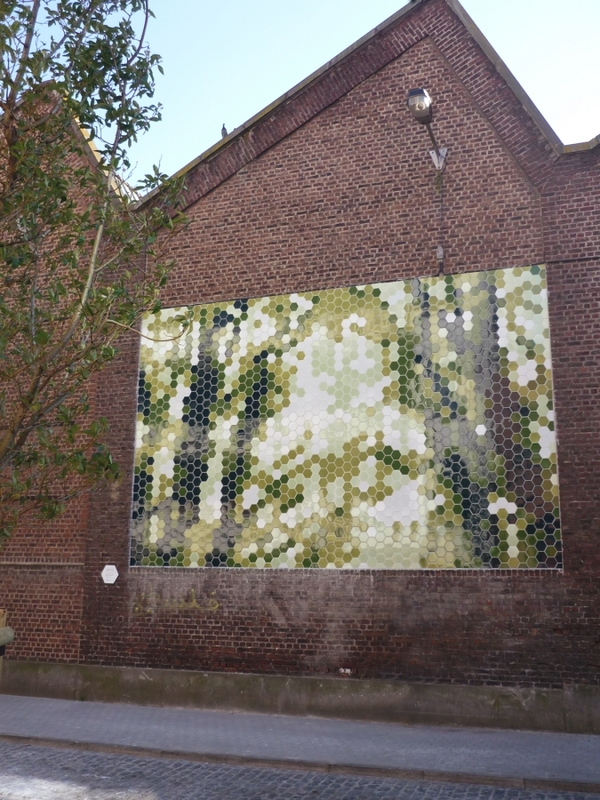 As this street offers a beautiful view on trees and ivy falling from walls, we opted for a theme depicting vegetation using pixels. 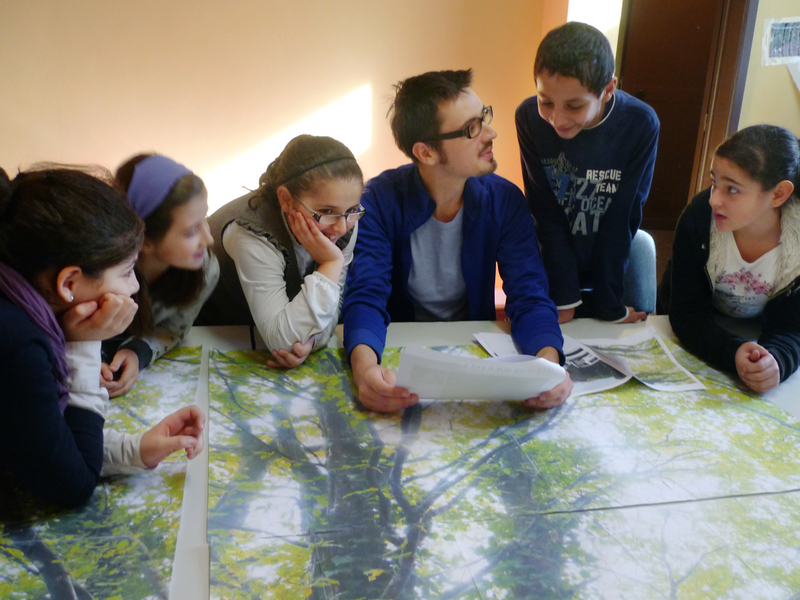 During workshops, the neighbourhood’s school children learned about pixelization. 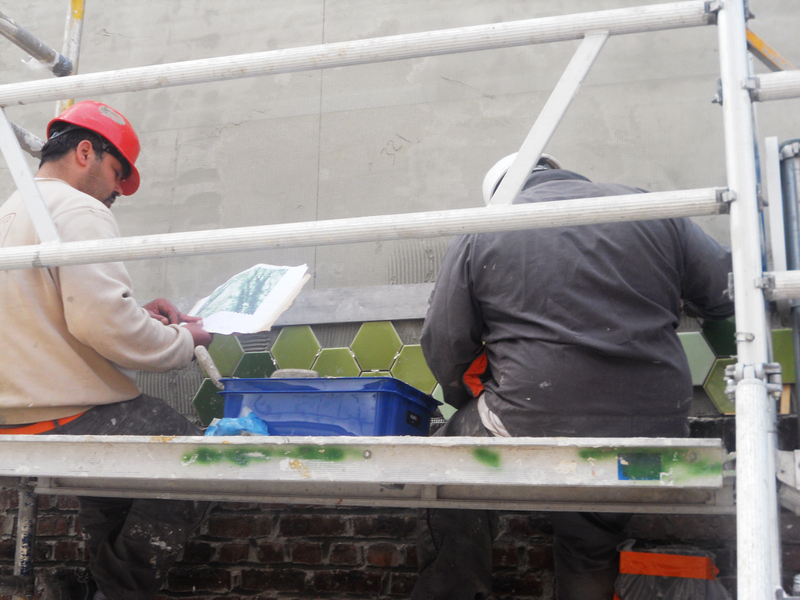 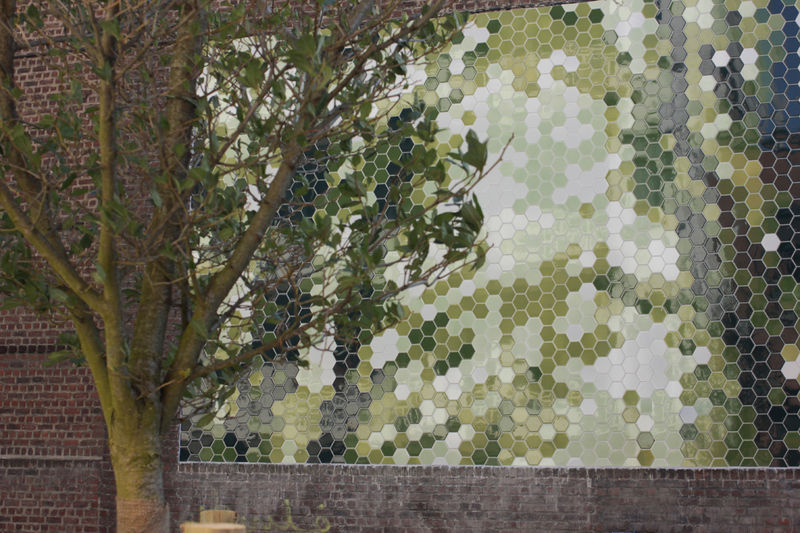 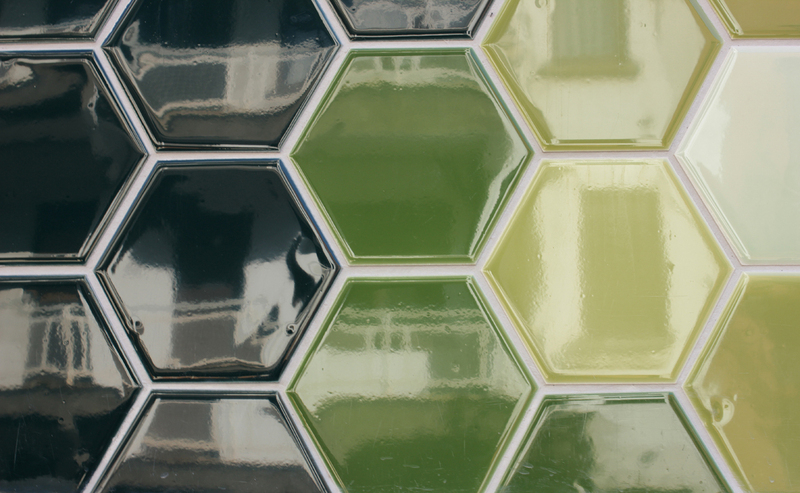 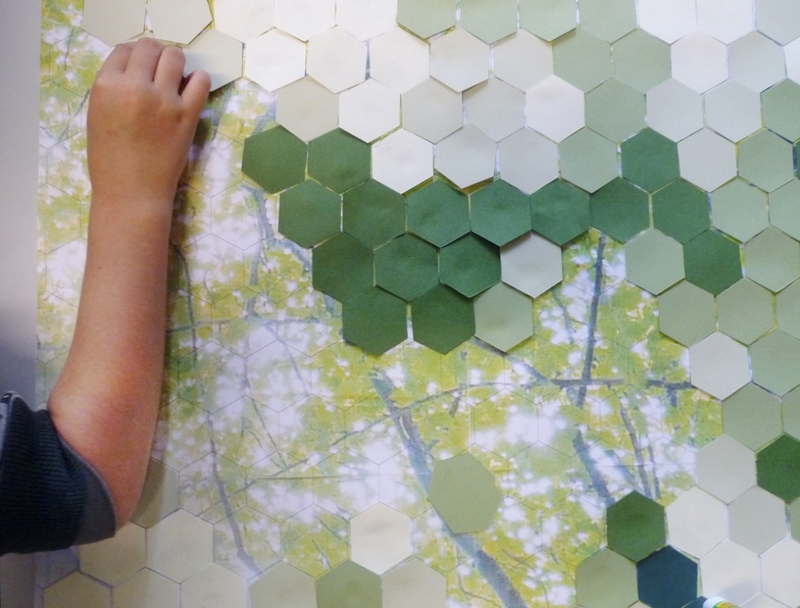 By combining various solid green tiles of 5 different tones, they were able to reconstitute an image as close to the original image as possible.